The best communicators have always been storytellers. Think about great communicators that you know personally. Chances are, they’re almost always telling stories. From bedtime stories to the “I have a dream…” by Martin Luther King, stories have captivated our imagination and left us craving for more. Stories influence people, their emotions, behaviors, and actions. Stories find their way to human hearts and heads in a way that very few (if any) other communication methods can. We are hardwired to respond to stories. We tend to remember a good story way longer than we remember a fact or figure. Stories, told orally, were one of the first forms of human communication, and, in large part, were used to learn from one another’s experiences. When we are hearing a fact or a figure, only our ‘language processing’ part of the brain activates, but when we are listening to a story, many other parts of the brain light up as well. This is why stories can be an incredible tool for fundraising, raising awareness, mobilizing volunteers, building trust, and so much more. This is especially the case for nonprofits, since they are in a way, in the ‘business’ of stories – changing the world one story at a time. Nonprofits tend to have the “raw material” for powerful impact stories right at their fingertips—stories of perseverance, hope, and new beginnings, yet they rarely commit the resources to gather and use them. 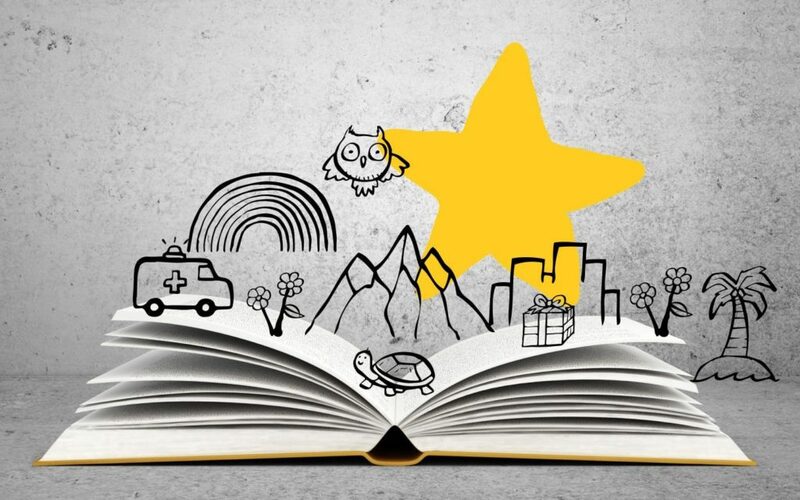 Why is storytelling important for nonprofits? Stories help create context, they provide meaning and purpose, help us relate and empathize. 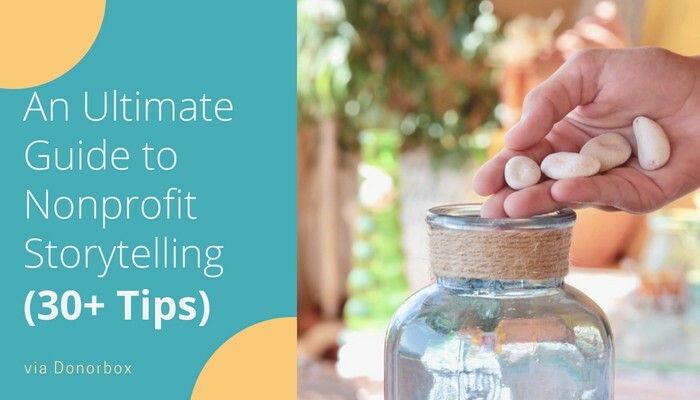 It may seem counterintuitive to start with a story when crafting a marketing strategy, but, because stories help us relate and are memorable, they can ground your nonprofit’s strategy. Storytelling is a valuable tool to help donors understand the context in which you operate by seeing the challenges your beneficiaries (or your nonprofit) are facing. 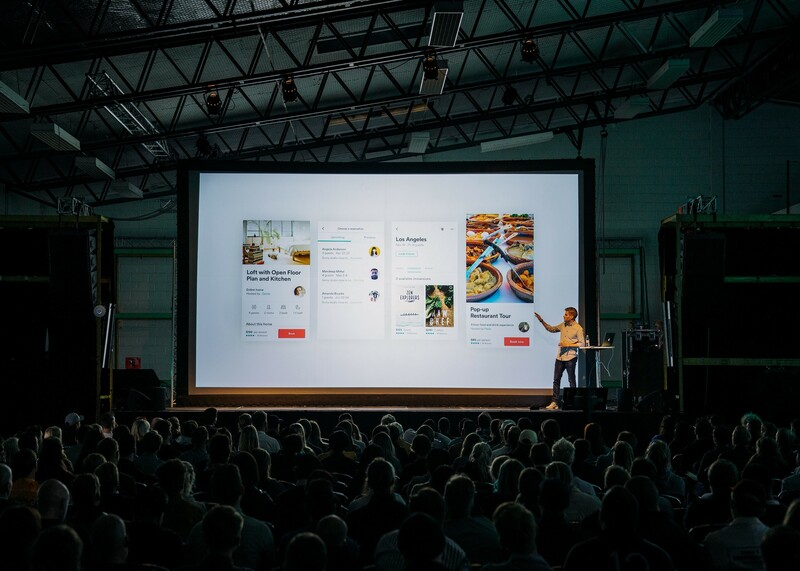 For example, a nonprofit innovating in the category of food waste may use their latest technological advancements or the results of their program to develop a fundraising pitch. However, donors response better to a story about a low-income family whose child can now afford education because they have food on the table. Stories help us see the context. 2. Stories move people to act. People make decisions on an emotional level. Logic and data are important. However, it is fundamentally emotion, backed up by logic, that makes us move or change. Stories create emotion in us like nothing else. In fact, without a story, there would be no emotions at all. Data can’t cause emotion unless we can connect it to a story. Storytelling, if done well, can easily encourage people to donate – which is what every nonprofit wants to do. 3. Stories create a connection. We are hardwired to listen to stories. When we listen to stories, we are present and engaged. Whilst we debate, judge and question facts, figures, beliefs, and opinions – we don’t do the same with stories, at least not in the moment of listening. Stories bridge people and create empathy. They make us connect one to another. They work with commonality – highlighting things we all share or can relate to. This is incredibly meaningful to any organization, and especially a nonprofit one – where emotions motivate charitable actions. Stories are captivating, but there is a limit to human attention. Make your story clear and succinct and focus on why your organization exists, what it hopes to accomplish, who you’re doing it for, and why should the reader/viewer care. This is not to say your story can’t include any facts and figures, but you shouldn’t make those the centerpiece of your story. Talking about how many tons of food you distributed or how many families you’ve helped is not a story. It can help a story, but it’s not a story. A story needs to emotionally engage and move to action. On the other hand, completely staying away from data can make your story seem like fiction. A part of what makes stories so enticing is their structure. Every good story has a beginning, a middle, and an end. Make sure your story, at the very least, has these three key components. Beginning: The protagonist is placed in a context and likely has a desire or goal. Middle: In pursuing their goal, the protagonists faces challenges and takes actions. End: The protagonist’s life has changed in some way. Their actions and experiences during the story have changed their situation. Of course, this is the most basic structure and there are many modifications to it. In addition to having a beginning, a middle, and an end, perhaps the only other essential element to a story is a character. Characters give the audience something to identify with, root for, or root against (in case of a villain). People relate to people (and donate to people). Make your story about a specific person (or family or animal) to help people empathize. Make it about the plight of a single person. People are more likely to relate to a story of an abandoned dog than a statistic like “a million of dogs are abandoned annually.” Help your audience understand some of the individual, emotional stories that your organization can tell first, and then talk about thousands you helped. Sometimes, nonprofits inherit stories and they feel “obliged” to keep telling them. You can change your story at any point, as long as it’s aligned to your mission. Although stories are pretty universal and the most basic story structure generally works across cultures and backgrounds, there is still a lot of value in investing time to understand your audience. Always ask yourself “Who am I talking to? And how am I going to tell them this story in a way that most resonates with them?” You can tell the same story in many different ways. You can tell one story from many different perspectives, with different protagonists, in different formats. Good stories don’t just always ‘come’ to you. You have to look for them. Have a system or people in place that will systematically capture stories that you can later use. Assign someone to ask others in the nonprofit about their stories on a regular basis, or create an online form such as a Google Form or Google Document that can be filled out by anyone. Collecting stories is only one part of the process. Using the stories consistently and diligently comes next. Stories can be used as a fundraising tool, as a recruitment tool, as a business development tool, and so much more. For example, you can tell stories to breathe life into your values and mission (e.g. what does “responsibility” as a value even mean)? You can tell stories about mistakes you made and how you learned from them – showing vulnerability. People are increasingly aware of when a brand or an organization are appealing to them or trying to sell something to them. This can cause adverse reactions in which the individuals are put off and they don’t donate or buy as a result. Always share genuine stories in a way that is authentic to your nonprofit. Stories should be human, as much as possible. Using salesy, clinical, or too much of an industry-specific language can impede individuals from understanding, connecting, and empathizing – almost defeating the purpose of storytelling. It’s important to make sure your story is easily understood and digested by readers. Nonprofits work on solving big world issues, and telling the stories about those can be very dark. To balance the dark out, bring in some positivity (e.g. how your beneficiary managed to overcome their issues or end up in a better place). Focusing too much on the struggle can cause unease and make it harder to relate, but too many happy endings can make people think you don’t need their help. This is a very tricky balance to achieve. When telling a story, think about: smell, taste, touch, sight, hearing. Whether those are conveyed via video, audio or in a written format – all of these can help your audience connect and engage. If you told a good story, your audience will be motivated to give. At the end of every story, place a call to action. Make sure this call to action is relevant to the story you just told. In case the call to action is a donation button, make sure the donation button leads the individual to donate to the person from the story or someone in a very similar situation. On your website, each page is a chance to tell a story. Nonprofits often use their website to show supporters the big picture – their mission. However, this can be strengthened by using this space to highlight detailed, individual stories as well. 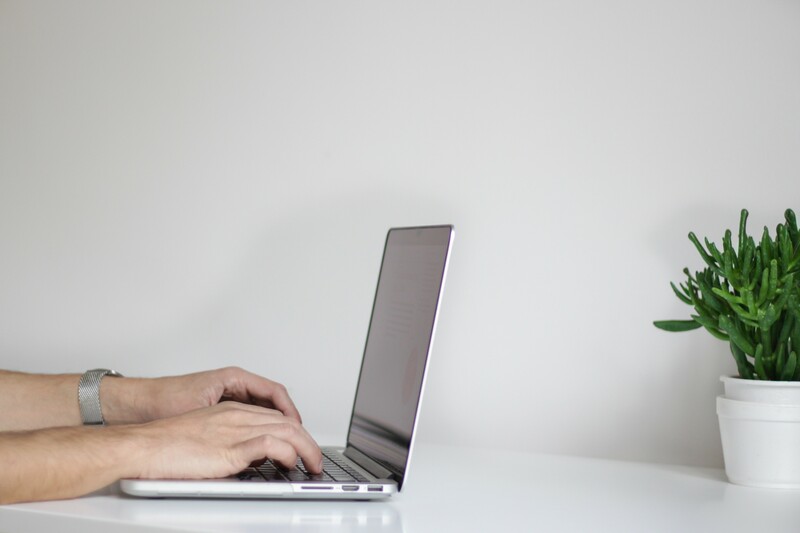 Compared to a website, blog posts provide more space to dive deep into the individual stories – giving your supporters a chance to learn more – read more details. Storytelling is vital in today’s attention economy. Social media values stories. 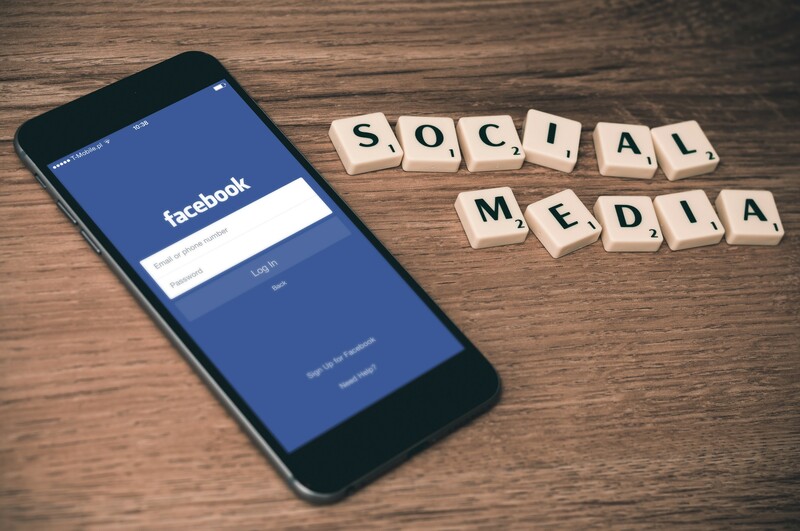 Social media tools are the perfect avenues to share stories and to get instant feedback, as well as to lead potential donors straight to your donation page. Facebook and Instagram are good places to start. Have a set schedule for posting fresh content, invest in creating good visuals, and share stories in the format most appropriate for the social media channel you’re posting on. Planning, gathering, and crafting well-told stories is crucial to your storytelling strategy. However, today’s donors crave authentic human connection. To do this, consider telling real-time stories on Snapchat, Instagram Stories, and Instagram and Facebook live. This allows for in-the-moment involvement and engagement which builds a sense of connection and trust. Storytelling using your “organization’s voice” can be powerful. However, finding new and fresh perspectives can be even more powerful. Have the beneficiary tell the story of their life through their eyes – no one knows it better. Alternatively, consider having an employee, a contributor or a volunteer share their perspectives. Visual storytelling has exploded over the past couple of years. According to a study conducted by SimplyMeasured, videos are shared 12 times more often than links and text posts combined, and photos are liked twice as often as text updates. Consider visual mediums such as videos, photography, infographics, and even cartoons or drawings to stand out in a sea of text. If you’re operating on a smaller budget, this doesn’t have to mean producing super high-quality videos with a videographer. Videos shot on phones can be just as, if not more, authentic. Naturally, knowledgeable video storytellers can help you frame the story and make your organization look professional, and create a video that you can use for years to come. But producing a great video doesn’t always mean you’re telling a great story. In their spirit of goodwill and in their expertise, nonprofits often fall into the trap of speaking too much in the name of their constituents. Allow the people you help to have a face, a name, and speak for themselves and about themselves. Use quotes, interviews, and testimonials to achieve this. Your story has to captivate the reader’s/viewer’s attention from the very start. Regardless of how good the story is at its core, our attention span is short – so make sure to get to the message pretty fast. Need inspiration? Browse Poynter’s online gallery of award-winning leads. Even with a system in place, a storytelling organizational culture won’t just “appear” just because one or few staff members are passionate about it. Storytelling needs to become embedded into the very fabric of your nonprofit’s organizational culture (from executives to volunteers). Make sure all of your staff, board and volunteers understand how and why stories are used in fundraising. Identifying and collecting great stories to use should fall under everyone’s job description. This is another way you can ensure storytelling becomes part of your nonprofit’s organizational culture. Start out a staff or board meeting with 15 minutes of people sharing client, staff or donor stories they witnessed from the previous week. Although you will capture some stories spontaneously and they will arrive at your doors unexpectedly, it’s still important to plan your storytelling. Create a document of important moments and events throughout the year (e.g. Christmas or Women’s Day), then think about what key messages you want to share throughout the year. These key story messages should highlight the opportunities to reinforce your organization’s messaging. Next, plan what kind of stories can convey those messages and then plan how you will collect them. It’s essential that you make your audience feel when reading or hearing your story. Whether they feel sadness, joy, anger, hope, pride – it doesn’t matter. What matters most is that your story evokes emotions. Emotions evoke action. “XY Nonprofit celebrating 50 years of existence and winning 20 awards” doesn’t evoke emotion. Protagonists, real people, do. Here’s a great example of making the audience feel emotion. Once you embark on the journey of becoming a storytelling organization, you might start gathering a very large number of stories. However, it’s still important to only share the relevant ones. Choose stories that best reflect your organization’s mission. You can combine storytelling with impact reporting. Tell stories that directly showcase the impact your nonprofit’s had and directly highlight how the donor’s contribution was used. This not only helps retain donors but attracts new ones – since they get to see how their gift was/will be used. 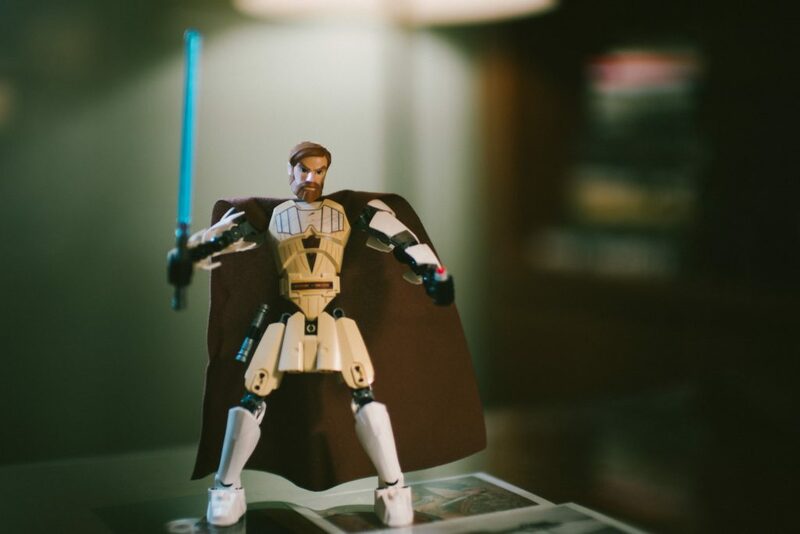 You’ve planned your storytelling, you worked hard on creating a storytelling culture, and you gathered amazing stories in various shapes and forms. Now is the time to distribute them! Discuss distribution early. At the beginning of a project, assess which assets you’ve been using and how you can add to them in order to achieve your goals. Combine several multimedia storytelling approaches, and your story gets stronger! When sharing stories, track their success: the number of clicks, likes, favorites, retweets, claps, vote ups – whatever the key performance indicators are for the channel you’re using. Evaluate your efforts, and re-plan your marketing strategy accordingly. What worked for your audience? Video or text? Images or lives? Twitter or Pinterest? Track, evaluate, adjust course. Charity:Water are masters at nonprofit storytelling. They share stories all the time: on their website, on their social media, through photos and videos. If you scroll down their Stories page, you’ll see that they’re not just rehashing the same story over and over. They try to capture as many angles of impact as possible, and generally maintain an upbeat, positive tone through all of their narratives. They post on Facebook, Instagram, Youtube and Pinterest, sharing very visual content displaying mostly their beneficiaries. Their branding is clean, vibrant, minimal, and they are vocal about their values – attracting a lot of millennials. Knowing it’s hard for people in the US to relate to someone in Ethiopia, they created a page called “Someone Like You,” you can enter your age and a little about your interests and values, and you’ll virtually meet someone similar from Adi Etot. This is a creative way to utilize storytelling to inspire giving. In 2005, its first year, Kiva, one of the world’s first person-to-person micro-lending enterprises, distributed more than $500,000 to entrepreneurs. Since Kiva’s inception, more than 631,345 people have loaned over $111 million. Kiva has achieved this success due to, among other things, storytelling. Pencils of Promise regularly uses storytelling as a fundraising tool. However, they have recently started using an interesting approach to storytelling: virtual reality. 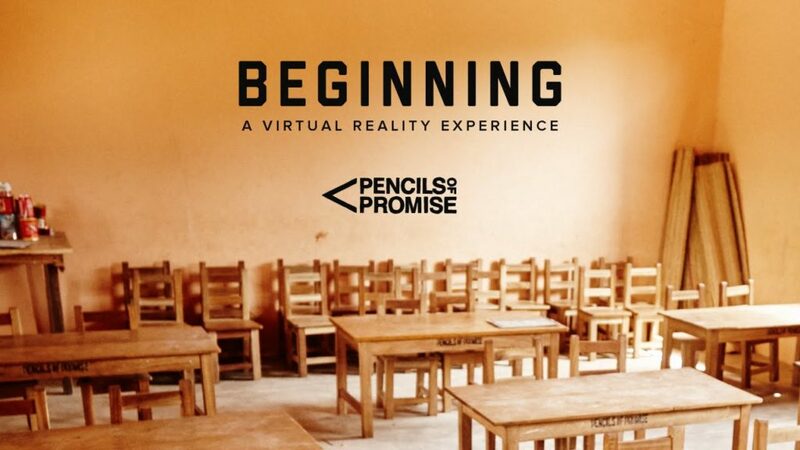 Through the use of Oculus Gear VR headsets, the VR film transported guests to a PoP classroom in rural Ghana, showing the transformational effect education can have on a community. In 2015, they raised over $1.9M from supporters during the night. It’s important to note this was a celebrity-studded gala. Here’s the power of stories. Although “A” portrays the overall state of obstacles to girls education in Uganda better, B tugs on our heartstrings. We are able to empathize and feel for the individuals we see and hear. We see their faces, we see a glimpse of their lives and their struggles, and we are moved to act. Instead of simply saying: “we provide food for hundreds of families” – making those families faceless and nameless – SF Marin Food Bank pulls stories from their beneficiaries and volunteers and demonstrate their impact. Habitat for Humanity dedicated an entire page on their website to stories of people they helped, volunteers, and staff. They use powerful visuals and storytelling to demonstrate the big impact they have on people’s lives. What: The Nonprofit Storytelling Conference focuses on storytelling. Numbers and statistics won’t do the trick when it comes to fundraising. People respond to stories of the real-life impact of the good work that your nonprofit is doing. Learn the ins and outs of good storytelling and what motivate others to give and get involved in your cause. It offers inspiration on how to tell stories effectively and how to use them across multiple channels. What: At the Future of Storytelling Summit, you’ll get to network with all kinds of creators and influencers in a wide variety of industries. Unlike a traditional conference, the Summit features intimate, speaker-led roundtables; hands-on workshops; and immersive exhibitions. The summit is focused on how exploring how storytelling is evolving in the digital age. What: At Forward 2018, you’ll explore the software tools and techniques that make story-centric marketers successful. You’ll get to dive into processes, content optimization, performance measurement, ROI, and more. Wired for Story: The Writer’s Guide to Using Brain Science to Hook Readers from the Very First Sentence offers a lot of practical tips to make your storytelling shine. 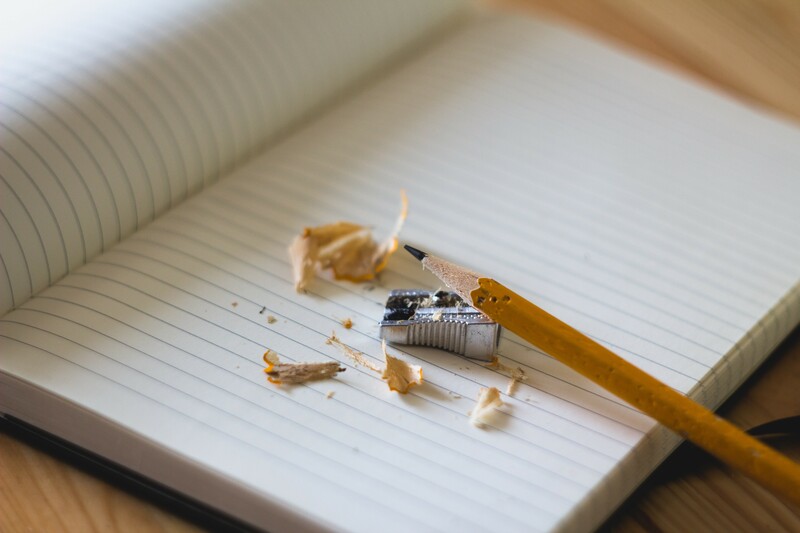 It focuses on how to write better and is an excellent resource if you want to learn how to write compelling stories – that can later translate to video. The Storytelling Animal: How Stories Make Us Human is a great one to overturn myths about storytelling, inspire you to tell stories. It also draws on the latest research in neuroscience, psychology, and evolutionary biology. Meyer Foundation’s Stories Worth Telling hopes to be a useful resource for nonprofit leaders and their organizations. It looks at five essential building blocks of compelling stories, strategic story cycle, as well as at the culture of storytelling and the future of storytelling. 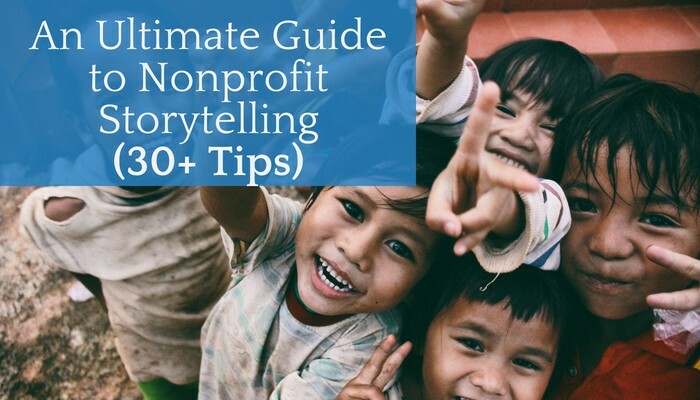 Storytelling for Good connects you to a suite of tools and a growing community that can help you leverage the power of narrative to increase reach, resources, and impact for your nonprofit. 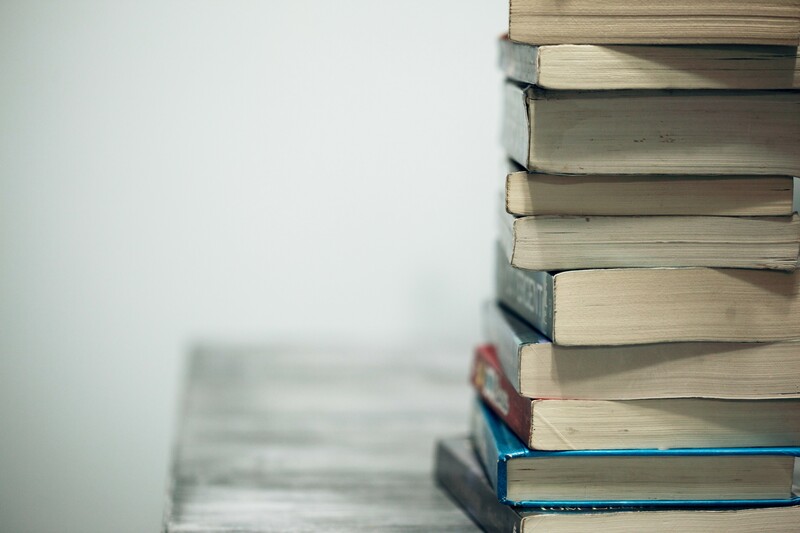 If you’re looking for a place offering many different opportunities and ways to leverage storytelling as part of your nonprofit’s social change work, explore the lessons and articles on their site. Get Storied released a 10-part video series on how to go beyond the hero-victim-villain story. This series also tackles re-imagining how to communicate your world-changing idea, talking about taboo subjects, leveraging personal stories in the change-making process, and learning techniques to tell a story that transcends the status quo. 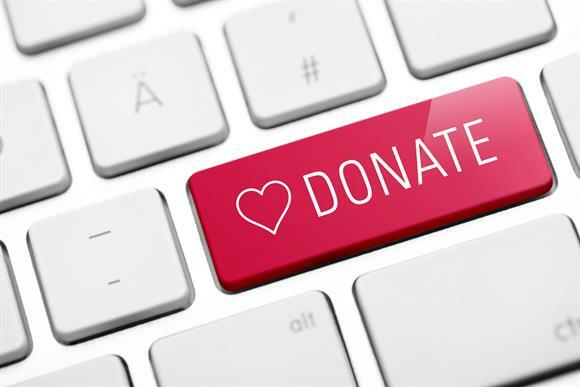 Donors nowadays expect more from nonprofits. They’re constantly bombarded by information, including fundraising appeals. They’ve seen it all. The best thing you can do for your nonprofit is to create great stories and share them. Storytelling is what we’ve been doing for thousands and thousands of years, from the first story written with a stick in the mud to the Instagram story you shared half an hour ago. 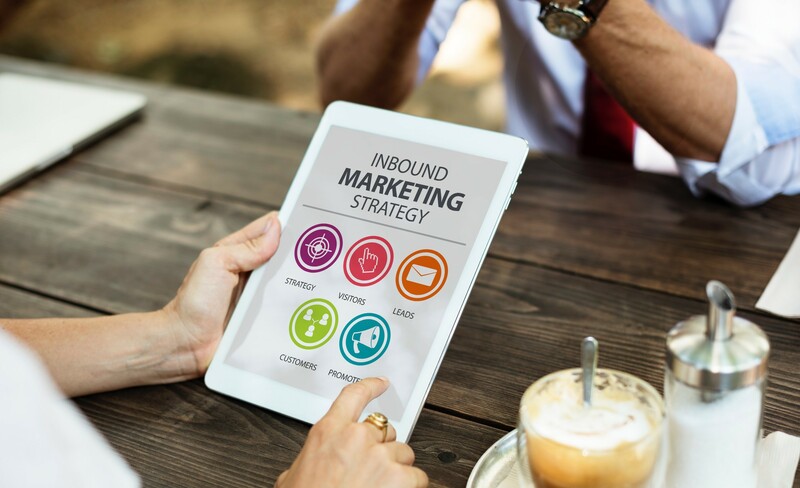 Content marketing and storytelling, although sometimes intimidating, are essentially the same as the novel on your nightstand or a painting done by your child. They’re all stories, told in different ways and in different forms. Embrace the power of storytelling and see where it takes your nonprofit. Always keep your nonprofit’s mission in mind to help guide you. The art of your story will draw your audience into your world. And the science of storytelling will help you fundraise. You will constantly need new stories to share on your social media, in your fundraising letters, and in your annual reports. You will need to change the culture of your organization. Therefore, storytelling is not a goal to reach, it’s an ongoing process. But it is one that will be very worth it, transforming your nonprofit along the way.